We love beginner sewing tutorials! 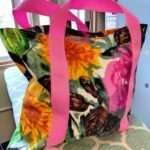 AllFreeSewing has been focusing on giving beginners everything they need to get started in the sewing world. That’s why we decided to compile a list of our favorites. With Sewing for Beginners: 10 Best Basic Sewing Tutorials, you will find tutorials for things like seaming and how to use a seam ripper. You will also find information on sewing basics, like learning how to read sewing patterns and sewing straight stitches. Even if you aren’t a beginner, these tutorials will help you perfect each technique. Especially if you are a visual learner since we have lots of video tutorials and step-by-step images to help you out as you go. Be sure to check out these beginner sewing projects and tips. Or peruse these for the information you may not know and want to learn. All of these resources are helpful for any sewist, so we’re sure you will find something to learn today! Sewing 101: How to Read a Sewing Pattern – Learn how to read commercial sewing patterns, abbreviations, and more with this cool article. 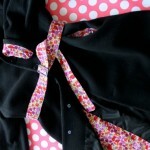 Hand Sewing Buttons Tutorial – Step-by-step tutorials for two-hole and four-hole buttons. Plus! Learn how to sew a buttonhole. How to Use a Seam Ripper – Mistakes happen and that’s why every sewist needs to learn how to use one of these sewing tools. Sewing for Beginners: Types of Fabric – Learn all about the different fabrics available to you. This is so helpful for when the pattern doesn’t tell you. What is Bias Tape? – We heard this question so often that we knew we needed to answer it for our readers. Find out all about bias tape here. Sewing by Hand: How to Sew Straight – Get tips and tricks for mastering the straight stitch. How to Wash Flannel – Before you start working with this popular fabric, learn how to wash it the right way! Baby Hem Stitch Tutorial – One of the most widely-used hemming techniques. We will show you exactly how to do it in two different ways. Sewing Tips and Tricks: How to Pin a Pattern – Pin or bookmark this right now! It will be invaluable to you once you start following sewing patterns. What is a Serger? – Before you decide on a sewing machine, learn all about sergers and make the best decision for your machine of choice. You will learn about the parts, too, as shown in this image below. What are some of your favorite sewing tips? my favorite video tutorials right now are SewingPartsOnline. Sara shows how to use different presser feet, serger work, different fabric. all of her videos are only 5-6 minutes long, no blah blah blah, and VERY clear.